BBC Radio 4 Sunday Worship are creating a special service from Three Ways School in Bath, where Adrian works as Music Therapist and Arts Therapy Consultant. This special edition of Sunday Worship will 'drop in' on sessions where music therapy techniques, are used. 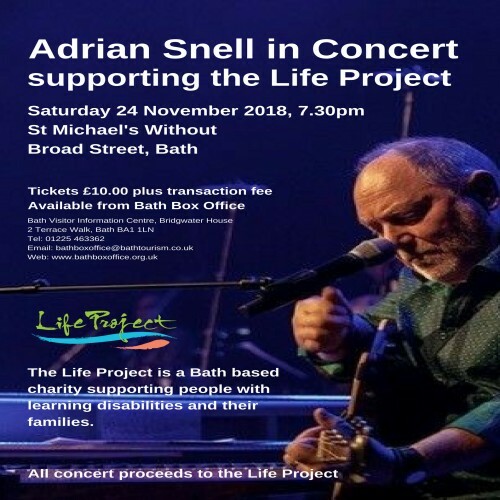 Interspersed between these moments, the programme will incorporate songs from ‘Fierce Love’, and feature the extraordinary range of instruments Adrian uses as a therapist. In devising the service, Adrian says ‘it will reflect on the role of music and music therapy in enabling our children and young people to express themselves, to communicate, to build their self esteem and understand their equal value and importance beyond their “special needs”’. Click here to watch the 'behind the scenes' video showing the making of the BBC Radio4 programme.